P. G. Wodehouse gave us many romances that linger long in our affections. Each February at Plumtopia is dedicated revisiting the Great Wodehouse Romances to mark the anniversary of his death on St Valentine’s Day, 1975. One of the delights of a Wodehouse romance, is the inventiveness with which he steers his heroes and heroines toward their first meeting. Some of these introductions happen ‘off-stage,’ especially in the Wooster narratives, but elsewhere we are privileged witnesses to some truly memorable meetings. Among his fruitiest is the moment when golfer Cuthbert Banks interrupts Raymond Parsloe Devine’s lecture to the Wood Hills Literary and Debating Society, in order to play his ball – with a niblick – from on top of the table. Cuthbert quickly falls in love with Adeline, but she is a serious-minded girl who expects her future mate to achieve something worth while in life. The rising novelist Raymond Parsloe Devine is a clear favourite over Cuthbert, whose only achievements are on the golf course. 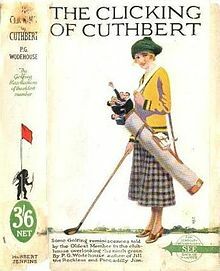 Cuthbert’s efforts to prove himself worthy involve joining the aforementioned literary society, bringing together the worlds of golf and ‘serious’ literature. The great treat, in the Clicking of Cuthbert, is not so much our satisfaction when Cuthbert finally clicks, but the manner of his clicking. More specifically, we have the pleasure of meeting one of the great Russian novelists, Vladimir Brusiloff. Every precious word written about Brusiloff is worth quoting. He is a splendidly drawn character who puts the pretentious aspiring novelist Raymond Parsloe Devine in his place. With Devine unmasked, Adeline ceases to be under his spell and finally turns her attentions to Cuthbert (I won’t give away all of the details). Adeline is not Plum’s most endearing heroine. She may be beautiful, but her initial objections to marrying Cuthbert are rather cold-blooded, and she lacks the pep and ginger of Plum’s more beloved female characters. But Adeline does redeem herself by taking up golf with enthusiasm. The Clicking of Cuthbert must be regarded as one of the great Wodehouse romances. The worthy hero stays true to his love, persevering in the face of stiff opposition, and conquering against the odds in the most spectacular fashion. Romance aside, it is a perfectly crafted short story, packed with the sort of writing that makes it impossible to read aloud without laughing. If you’ve never read the Clicking of Cuthbert, or want to refresh your memory, you can read the full story (with annotations) at the excellent Madam Eulalie website. For those of us who have been privileged to hear Masha Lebedova do her reading as Vladimir in a long beard, this story has special meaning and its wonderful blend of love, golf, and literature make it one of Plum’s best. Ninepennyworth – I have never had that privilege. 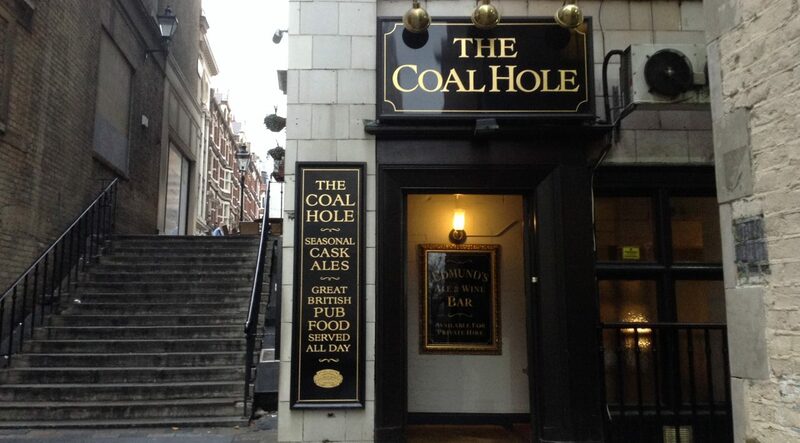 It sounds like a real treat. Do you know if this has ever been recorded? Thanks FictionFan. You have a real treat in store. It is a wonderful story. Anna Karenina happens to be my favourite novel, and I find Tolstoy amusing in places. I shall never forget reading Chekhov The Death of a Government Clerk. I found it funny, but I don’t know if I was meant to. I used to feel that away away the Russians, but these days everybody seems to be at it (misery-laden angst). My mother and her friends won’t touch a book unless the hero is orphaned at a young age, sold into slavery, and has at least one limb blown off. I, too, am not a huge fan of Adeline Smethurst, because she is clearly (at least to start with) the worst kind of snob, but as you say, the story itself is superb. Raymond Parsloe Devine is such an awful bounder and his defeat is so satisfying, particularly when it occurs at the hands of one of Wodehouse’s funniest characters – V. Brusiloff is a masterpiece in and of himself! Adeline is difficult to like, but Cuthbert loves her which is what matters – each to his own. We must remember that when we meet her she is under the influence of Raymond Parsloe Devine, as well as Mrs Smethurst and her gang of literary snobs. Adeline is young and easily influenced, so her character should improve under the influence of less snobbish people (although it’s not often that I think of golfers as a less snobbish crowd). One of last year’s pieces on the Great Romances — The Clicking of Cuthbert. February is the month of celebration of some of the greatest romances we come across in literature. Here is one some of you may like to revisit. That is a fine appreciation with a well-integrated summary. That is very kind of you. Thank you.